It is an ideal location for exploring the attractions of Beara. 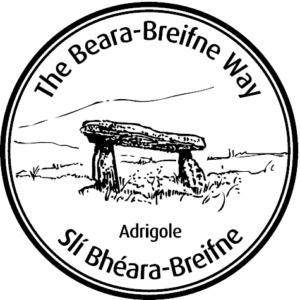 Its name derives from the Irish “eadar goil ” meaning “between an inlet of the sea”. Hungry Hill, which lends its name to the novel by Daphne du Maurier, is the highest of the Caha Mountains. Standing at 675m (2,251 feet), it provides a rewarding challenge for the energetic hillwalker. There is a range of routes for different capabilities. On a clear day, the views from the top encompass the wild, untamed panorama of the whole peninsula, looking north to Kenmare Bay and county Kerry, south to Bantry Bay and far west to the open Atlantic. Two lakes near the peak feed a spectacular waterfall – the highest cascade waterfall in Ireland. The striking Sugarloaf Mountain is another popular climb, standing at 566m (1,887 feet). Guides may be available for those wishing to climb either mountain. Enquire locally. If you don’t have a head for heights, Hungry Hill waterfall can be viewed from the foot of the mountain. For even less exertion, a drive along the spectacular Healy Pass will take you to the height of 390m (1,300 feet) past some breath taking scenery to the north side of the Beara peninsula. Six-mile-long Bere Island situated south west of Adrigole is well worth a day trip. There are two ferry crossings available, one from pontoon, another from Castletownbere itself. lternatively you can hire a local boatman to take you for your own private boat trip around Adrigole harbour. Adrigole is part of the ancestral home of the O’Sullivans in Ireland. 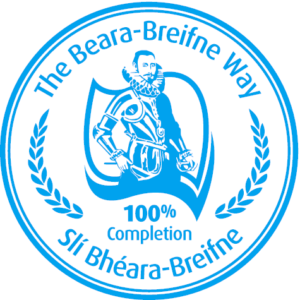 It forms a stage of the Beara Way section of the Beara-Breifne Way which is based on the historic march of O’Sullivan Beara in 1603.